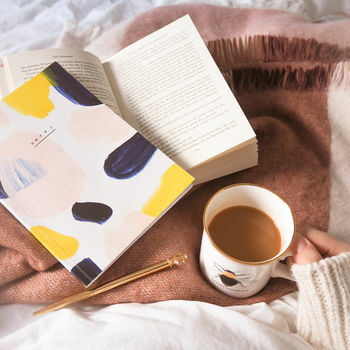 A beautiful notebook created from an abstract design. 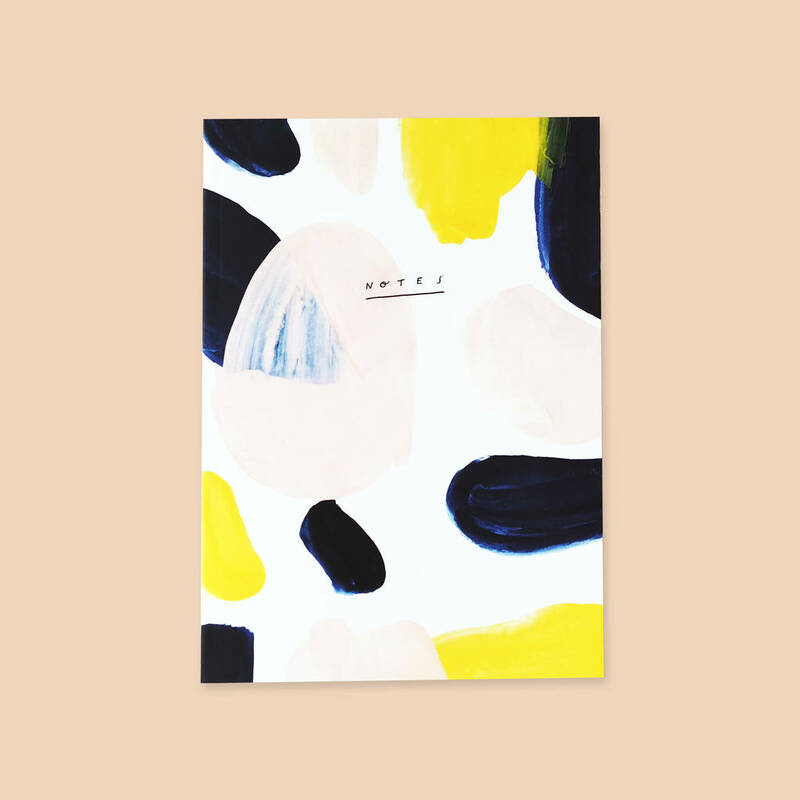 A mix of pinks, navy blue and yellow, this A5 lined notebook will brighten any workspace. Printed digitally in the UK with a paperback, perfect bound cover. The soft touch cover is printed on thich, coated paper for a colour pop, and the interior lined pages are a crisp 90gsm. This product is dispatched to you by Annie Dornan-Smith Design.